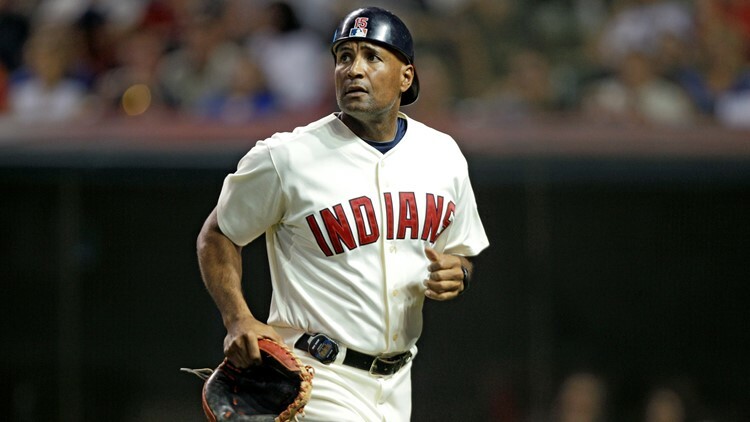 CLEVELAND — Former Cleveland Indians shortstop Omar Vizquel counted himself fortunate to compete alongside Sandy Alomar Jr., and it was during that time that he gained an appreciation for his catcher’s knowledge and understanding of the game. Because of that experience and watching his former teammate study under the tutelage of Indians manager Terry Francona, Vizquel hopes Alomar Jr. will get an opportunity to be a manager in Major League Baseball. “Obviously, he should be ready to manage a team someday, and I’m glad I got a chance to play with him because he was really intense,” Vizquel said in a press conference prior to an appearance at the Lake County Captains’ Hot Stove Event last week. Cleveland Indians first base coach Sandy Alomar Jr. walks in the dugout during the first inning of a game against the Detroit Tigers at Comerica Park in Detroit on September 2, 2017. Alomar Jr. spent 11 of his 20 seasons in Major League Baseball with the Indians, who acquired him, as well as second baseman Carlos Baerga and outfielder Chris James in a trade with the San Diego Padres for outfielder Joe Carter prior to the 1990 season. In 985 regular-season games over his 11 years with the Indians, Alomar Jr. registered 944 hits, including 194 doubles, eight triples and 92 home runs, along with 416 runs scored, 453 runs batted in and 165 walks against 386 strikeouts. Cleveland Indians coach Sandy Alomar Jr. jogs toward the dugout after warming up a pitcher during a game against the Oakland Athletics at Progressive Field in Cleveland, Ohio, on July 3, 2010. Alomar Jr. was the 1990 American League Rookie of the Year, a 1990 Gold Glove Award winner and six-time AL All-Star, with his most memorable showing coming in the 1997 Midsummer Classic at Progressive Field in Cleveland. 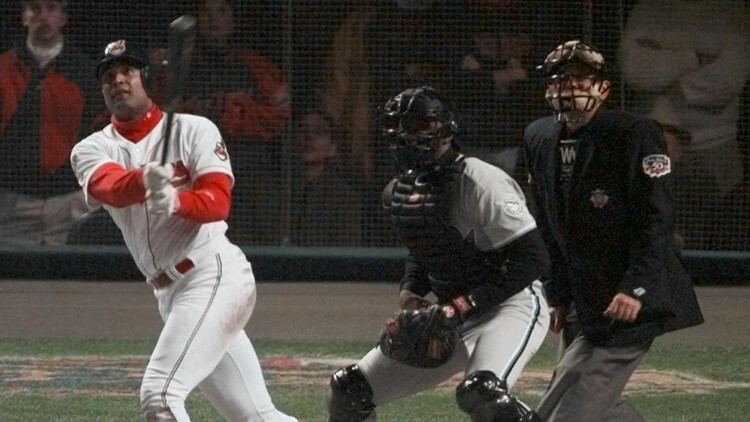 In the bottom of the seventh inning, Alomar Jr. belted a two-run home run over the 19-foot high wall in left-center field, which turned out to be the game-winning hit and won him All-Star Game Most Valuable Player honors. Alomar Jr. was the first player in MLB history to earn All-Star Game MVP honors in his home park. That was one of several memorable moments for Alomar Jr. in 1997. In 125 games, Alomar Jr. registered career highs with 146 hits, 37 doubles, 21 home runs, 83 runs batted in and a .324 batting average, along with .354 on-base, .545 slugging and .900 on-base-plus-slugging percentages. Cleveland Indians catcher Sandy Alomar hits a three-run homer off of Florida Marlins pitcher Livan Hernandez as Marlins catcher Charles Johnson and home plate umpire Randy Marsh look on in the third inning of Game 5 of the World Series at Cleveland's Jacobs Field on October 23, 1997. 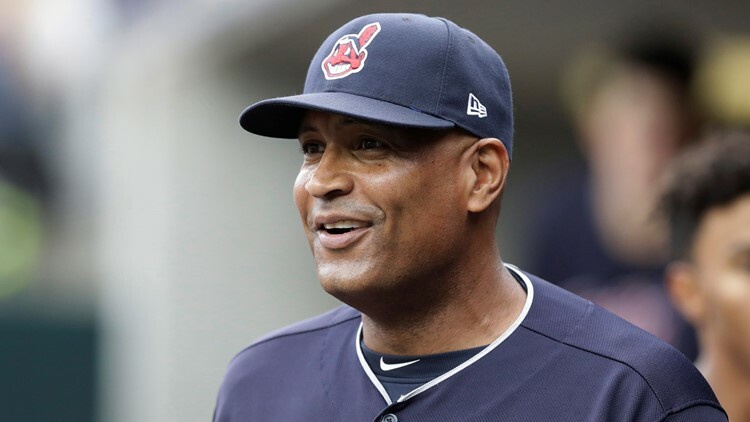 Alomar Jr. returned to the Indians’ organization as a coach on November 17, 2009, where he has been a first-base coach, bench coach, Major League catching instructor and interim manager for the final six games of the 2012 season. “He brought a lot of joy to this town,” Vizquel said. “Sandy was one of the original people to build up the team.